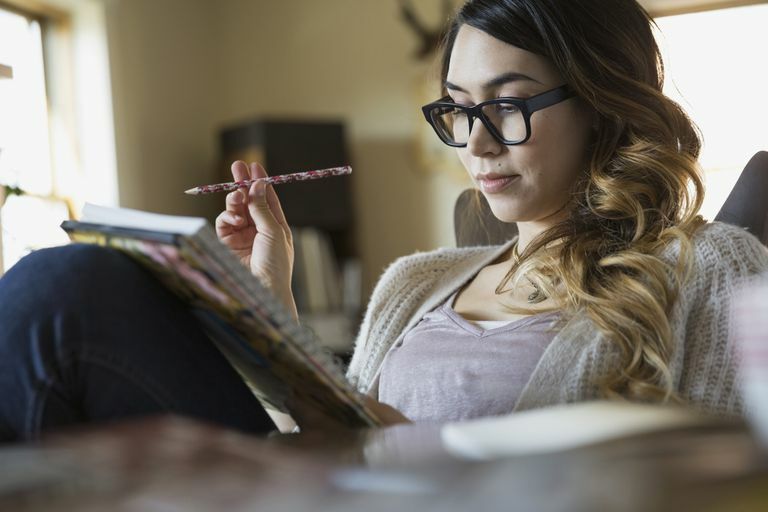 For people with psychological problems like borderline personality disorder, various types of expressive writing have been shown to have a positive impact. People have used journaling as a means of getting out their feelings and healing for centuries. If you are struggling with a mental illness, expressive writing may be a useful addition to your therapy. Expressive writing is hard to define because it is essentially anything you want it to be. There are no complicated rules or elaborate style guidelines. It is simply the act of writing about your personal experiences in order to better recognize and understand your own perceptions, feelings, and responses. Expressive writing can take many forms. For example, you could keep a traditional paper diary or you could launch a blog that functions as an online journal. One day you may write in prose, other days you may write poetry. Choose whatever you feel most comfortable with. There is evidence that expressive writing is helpful whether or not you share that writing with someone else, so if you want to keep it private that is perfectly fine. Why Is Expressive Writing Helpful? Researchers are not entirely sure why expressive writing is helpful, but there are a few theories that may explain why it works. First, it may work because it helps you make sense of what is happening in your life. It may be a way to better process and think through the meaning of events and how you want to respond. Expressive writing may also help you express pent up emotions about things that have happened. For those with borderline personality disorder, this can be a useful way to manage intense feelings and curb harmful impulses. Finally, expressive writing that is shared with others may give you a sense of social support. It feels good to share your writing and get positive feedback or have others let you know that they have been through similar circumstances. You can write about anything you want. Usually, people choose to write about events that are of personal importance. They are often events that are at least mildly emotional or are personally relevant for any number of reasons. For example, you might write about a stressful event that is happening in your life now or an important event in your childhood. Perhaps you want to write about how you perceive aspects of your relationships, your work life or your spiritual life. The topic isn’t as important as how you write about it. Expressive writing is probably most helpful when you write about a topic in depth. This means that rather than writing about the superficial or surface qualities of an event, you really delve into the emotional aspects of the event. How were you feeling at different points in the event? What physical sensations did you have? How did this event impact how you see yourself, other people, the world, or your future? What does this event now mean about you? If you’ve never tried expressive writing before, it may feel a little strange or awkward at first. It is definitely a skill that requires a bit of practice before it begins to feel comfortable. Before you start, it may help to check out some examples from others. Frattaroli J. “Experimental Disclosure and Its Moderators: A Meta-Analysis”. Psychological Bulletin. 132(6):823-865, 2006.